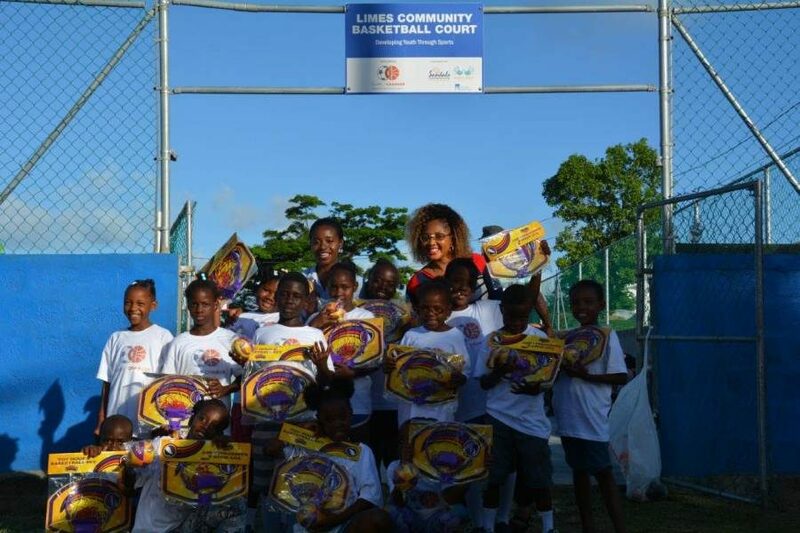 It was an exciting afternoon of display drills, slam dunks and intense 15-minute face-offs; as the Limes Development Committee in partnership with Sandals Foundation hosted a Kids Basketball Festival, at the Limes Hard Court last Saturday, 8 July 2017. The event began with the 6 to 10-year olds’ display of fundamental skills and a shooting game; thereafter the 11 to 14 year olds displayed their now enhanced fundamental skills, offensive drills and a 15 minute friendly face-off. Passionate parents on the sidelines included, soca super star Tallpree, who even gave it a go at the open ‘free throw challenge.’ Also in attendance was former national player Herman ‘Mello’ Peters who pledged his support for Game Changer. Although basketball is a male dominated sport, the benefits to young girls remain just the same. This is reflected in the 50/50 rate of participation in Game Changer at the Limes. To inspire the young girls, the big girls, The Classics, came out to play, for what turned out to be a thrilling and gritty segment. The men of The Tornadoes and Limes went head to head at the close of the evening, with the Limes edging out for the win. An audience favourite, the slam dunk competition between Darren Oxford, Jolan Ledlow and Travis Ranger proved to be easy to judge, with the audience giving the loudest roar to the statuesque and skilled Travis Ranger. The children with gifts donated by US professional basketballer Nigel Byam. To top it off, the children were not sent home empty handed. Each left with an indoor basketball hoop and ball, to attach to any door at home, for their enjoyment. 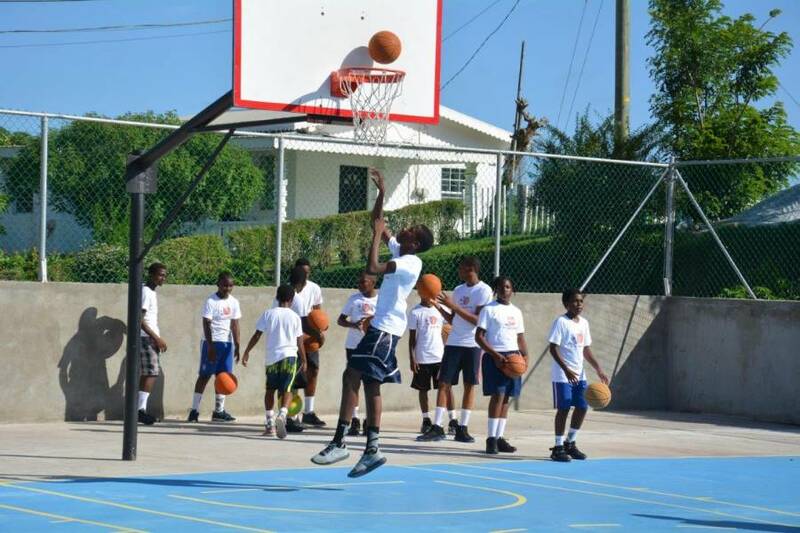 This gift was donated by friend of Coach Cyril Cox, US professional basketballer (with Grenadian parents), Nigel Byam. ‘Strengthening and unifying our communities is one of the fundamental mantras of Sandals Foundation. Today’s event is a grand display of the sum of many parts. Thank you to everyone involved for their support,’ said Supratik Guha, Hotel Manager, Sandals LaSource. If you will like to register your son or daughter for the Game Changer programme, contact Coach Cyril Cox at 417-7932.